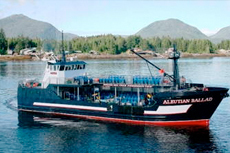 Enjoy the Great Alaska Lumberjack Show while in port at Ketchikan. This extravaganza will introduce you to the world's best lumberjacks, who compete in a number of events for the title of "Bull of the Woods." Why settle for just land or sea when you could have both? 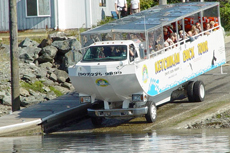 Ketchikan's Duck Tour will take you for a splash with a fully amphibious sightseeing tour. 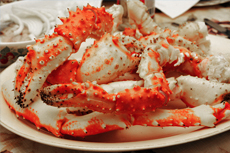 This is a perfect option for fans of TV’s “Deadliest Catch” -- get your hands wet pulling up crab pots from waters surrounding Ketchikan’s coastline followed by a fresh Dungeness Crab feast! Explore Misty Fjords -- one of nature's most spectacular natural creations -- while cruising on a luxury vessel through Ketchikan. Visit Ketchikan's own Saxman Native Village, home to an authentic clan house and the world's largest collection of standing totem poles. If you book a tour through your cruise ship you can even see a native dancing show. 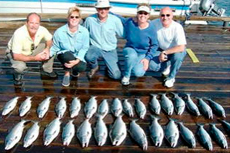 Opt for a salmon fishing adventure or go bottom fishing for rockfish and halibut -- two popular fishing excursions enjoyed by locals and visitors alike. 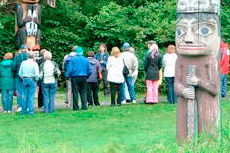 Parks such as Ketchikan Totem Bight State Park feature recreated Native Alaskan villages with traditional homes for a taste of native history and mythology. 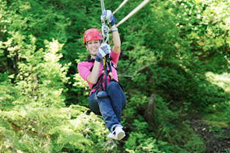 With breathtaking views and abundant wildlife, a zip-lining tour is the perfect way to spend a day experiencing Ketchikan. 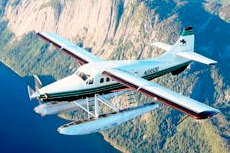 Take to the skies and explore the deep Alaskan wilderness with a guided float plane expedition. 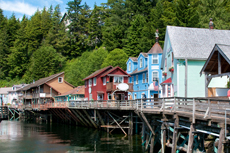 Tour the town of Ketchikan, the first city on the Inside Passage, by visiting local attractions and learning about Alaskan history and culture. Take in the breathtaking seascape as you witness an abundance of local wildlife and learn about the area's history and culture. 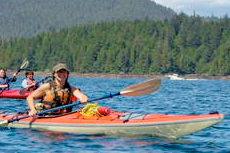 Kayaking through Ketchikan's icy waters is an active way to experience Alaska's gorgeous scenery. View Misty Fjords National Monument and the prehistoric land of the Alaskan Glacier from above on a seaplane excursion in Ketchikan. 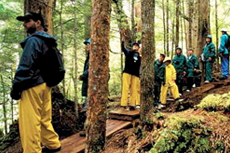 Venture into the Tongass National Rainforest on a trail that puts you up close and personal with the flora and fauna of the area. 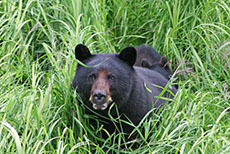 Look for wildlife that frequent the area including a variety of birds, black bears, deer, mink, marten and seals. 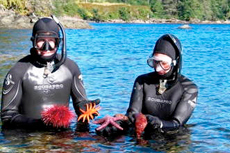 Immerse yourself in Ketchikan’s breathtaking underwater world as you snorkel the calm, emerald waters off its coastline. 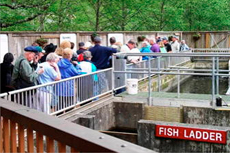 Watch wildlife appear before your eyes as you are guided through beautiful Ketchikan. The history is as rich as the beautiful scenery you will encounter. 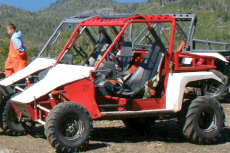 Hit the accelerator for an off-road adventure of a lifetime. 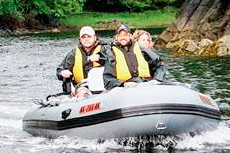 Venture through mountain trails and rainforests and along canals as you learn about the history, culture and economy of Ketchikan in an adventure kart expedition. 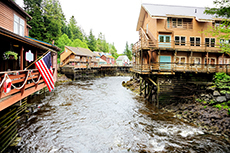 Visitors to Ketchikan will be intrigued by its rich Native heritage and impressed with both the scenic town and its surroundings. 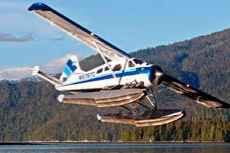 Take flight by chartered seaplane and observe the Ketchikan wild and breath-taking views of untapped nature from an innovative and amazing perspective. Emerge into Ketchikan’s true backcountry as you embark on a zodiac excursion around Alaska’s coastline. 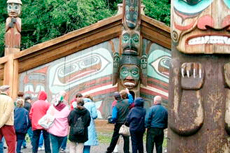 Experience a day in the life of a local Alaskan as you explore recreated Native Alaskan villages and watch Native carvers at work at Ketchikan’s Potlatch Park. A wildlife cruise will bring you right to the heart of Alaska as captains and crew share stories and point out unique wildlife in Ketchikan’s waterways. 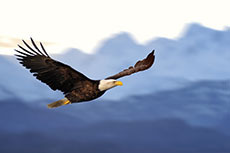 Note: Keep your eyes peeled for rare bald eagles! 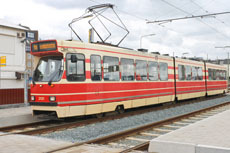 Museums: Enjoy museum hopping around town. The Southeast Alaska Discovery Center (50 Main Street; 907-228-6220; open 8:30 a.m. to 4 p.m. daily during summer; $5 adults, free for kids) has an interactive rain forest gallery and a terrific gift shop. Also, check out the Totem Heritage Center (601 Deermount Street; 907-225-5900; open 8 a.m. to 5 p.m; $5 adults, free for kids) and the Tongass Historical Museum (629 Dock Street; open 8 a.m. to 5 p.m.; $3 adults, free for kids). 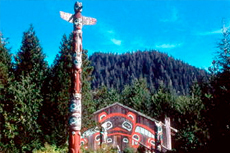 Totem Poles: Outside of Ketchikan, three must-see totem pole locations are Totem Bight State Historical Park (10 miles north), Potlatch Park (near Totem Bight) and Saxman Native Village (two miles south). At Potlatch and Saxman, you can watch carvers at work during the guided tour. Creek Street: The most interesting area -- both for historic value and good shopping -- is Creek Street. Not a street at all, this boardwalk winds along Ketchikan Creek and was once the locale for all the area's brothels. Now, it's home to artsy galleries like Soho Coho (5 Creek Street; 907-225-5954), which sells fish-themed artwork and a variety of higher-end crafts, from gorgeous velvet scarves to watercolors to soaps. Nearby, you'll see the Alaska Eagle Art Gallery (5 Creek Street No. 3; 907-225-8365), where Pendleton blankets with Indian themes are a standout, as are silver pendants and bronze sculptures. In front of Creek Street (105 Stedman Street; 907-225-7690) is Parnassus, an interesting bookstore with a great selection of Alaska-oriented tomes. Try Sam McGee's A Taste of Alaska (18 Creek Street; 907-225-7267) for regionally made items like honey, barbecue sauce, soaps, lotions and ulu knives. Tongass National Forest: Watch black bears catch and eat their fill of salmon at Neets Bay in Tongass National Forest. 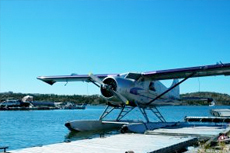 Sign up onboard your ship for this floatplane and bear-watching thrill (late July through September). Deer Mountain: Serious hikers will enjoy the three-mile trail on Deer Mountain that begins in Ketchikan (Fair and Deermount Streets). Remember that this is still bear country, so hiking in pairs or groups is advised. Another good practice is to sing and make noise as you walk to avoid startling bears. Misty Fjords National Monument: Go sea kayaking, deep-sea fishing and tour Misty Fjords National Monument wilderness area by air (operators have booths at the tourism center at the pier). Flights are extremely weather dependent, so have a backup plan. 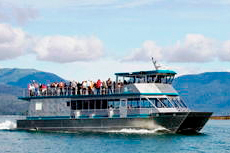 Boat and Cycle Tours: Take a part-bike part-boat tour with Alaska Sea Cycle Tours (907-821-2728), a great family-friendly activity. 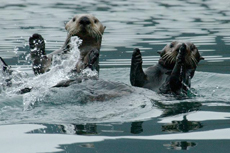 The tour combines wildlife spotting, exercise and an Alaskan picnic. Galleries: In the heart of downtown, the Arctic Spirit Gallery (310 Mission Street; 907-228-2277) and Scanlon Gallery (318 Mission Street; 907247-4730) feature interesting native Indian arts, from ivory carvings to cedar bark baskets and masks.